So it’s April the 30th and the 30 days of biking challenge has come and gone. How quick was that then? I actually got out every day in some form or another and rode my bike. Usually at weekends I’m all familied up or too busy or just using the time for rest. I pretty much did the same this month to be honest, the trips round the block with Dan were not tiring and even though it felt like cheating, fun none the less. I was part of Team Loving The Bike and we had a competition with Bicycle Radio to see who rode their bikes the most via a very complicated points system that I still don’t understand! It’ll be Tuesday when we see who won! 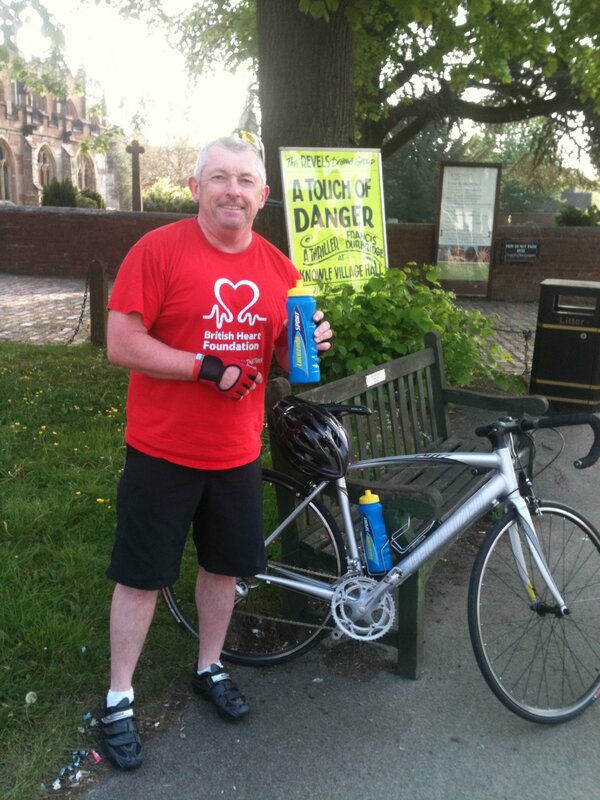 The photo below is me today after a very quick pedal to Alvechurch and back. The team scorer Ian (@pedalmanto on Twitter) asked us to do Darryl’s favorite hand sign thing as thank you to him for organising the team. Not sure what it means, but hey ho, anything to oblige! Must be a North American thing! Bike ride done, so that means family. I’ll be taking the Spawn of Satan out this morning to give his Mom a break and then it’ll be rugby this afternoon. European Cup semi final between Leinster and Toulouse. Really looking forward to that one! 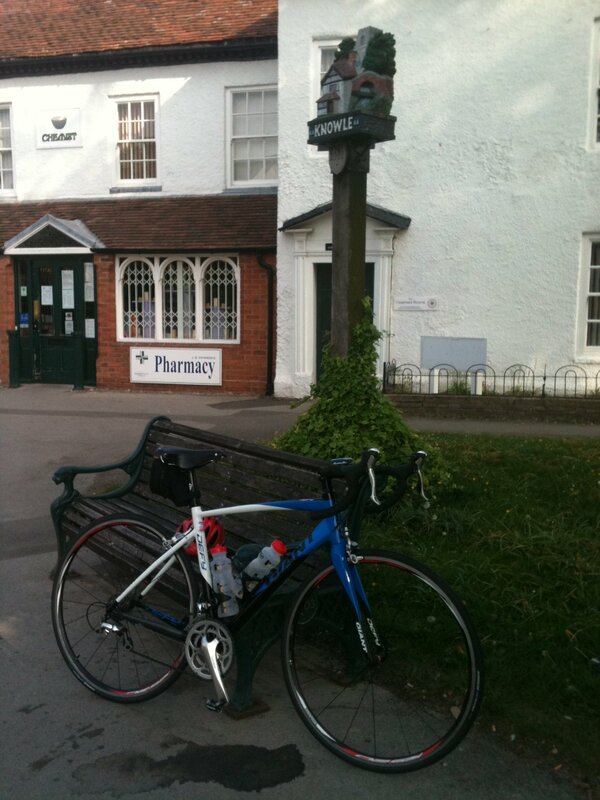 Just a quick spin to Kings Norton and back this morning. Not nice weather either, hope it clears up later so we can sit outside at the Dodford! I hope you all have a nice day off regardless of what you’re doing! That was a cold pedal in this morning. I was certainly regretting my choice of undergarments I can tell you! A nasty headwind too. Which figures why it was cold. A North Wind! But it was warm and still yesterday when I did my first ever sub 36 minute commute home. Very pleased with that, and I was held up at traffic lights too! As you’re all probably aware there is a wedding tomorrow that we have been given the day off for. So I’ll be getting my pedal in tomorrow morning. 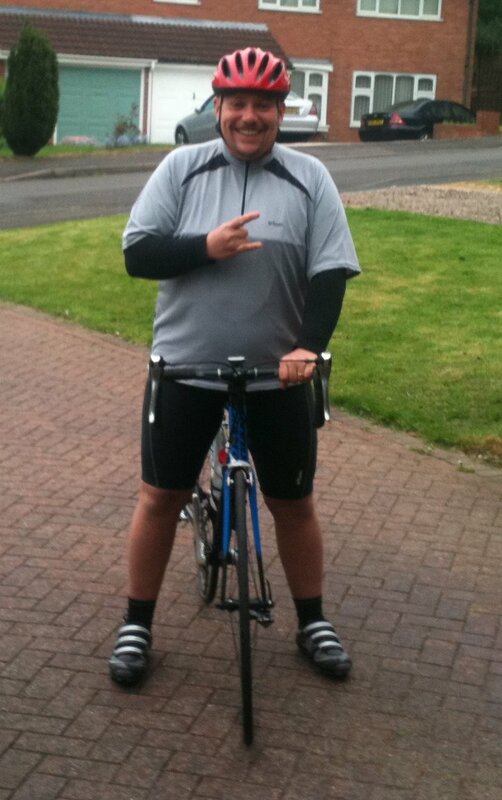 I’m suffering with a twingey knee at the moment so I’ll do an easy 10 miles I think just to keep my legs turning over. It’s nearly the end of the 30 days of biking challenge too. It looks like I’ll have achieved the aim of a pedal of some description every day. 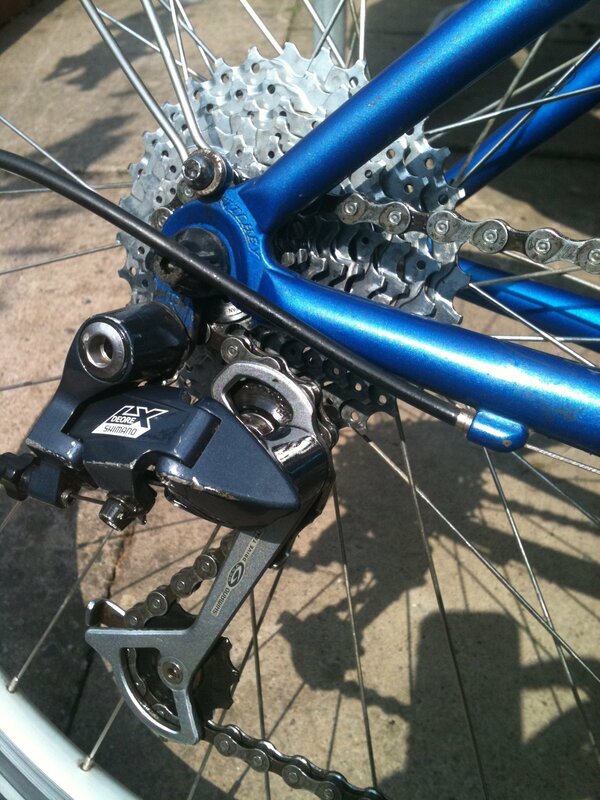 But some of the “round the block” pedals do feel like a cheat. Them’s the rules though! On my way in this morning I was thinking about why I came in on my road bike. I thought back to opening the garage and realised just how I choose what bike to ride into work. Boredom is a factor, a different bike gets a different route, MTB commuter along the towpath and NCR5, road bike gets a blast in on Her Majesty’s Highways. But this morning there was only one thing motivating me to get on my road bike. I’d ridden the road bike on Monday with my mate Ski and I’d cleaned the MTB commuter to within an inch of its life on Saturday and I really couldn’t be arsed with having 2 dirty bikes to clean at the weekend so my road bike it was. On the way in my Garmin Edge 500 threw a hissy fit. The first time this had happened to me. The split time is set at the default 5 mile mark and I looked down at it as I was coming into Harbourne expecting it to light up with it’s usual beep at the 5 mile point. I was concious I was motoring and wanted to check the split. I noticed the time elapsed, not bad, then saw the distance and it appeared to be stuck at 3.88 miles. Weird. I stopped the timer, did a reset and turned it on again. It appeared to be working for the rest of the trip. Lucky I know the correct mileage for that route. I downloaded the routes and labelled them “dodgy 1” and “dodgy2” on my Garmin site. It was a bit chilly this morning, not that I mind that, but I did need to get up to speed to get warm pretty rapidly as I was in shorts and T-Shirt again. I tell you what though, I could get used to this 3 day week lark! I came across this link via Twitter yesterday. 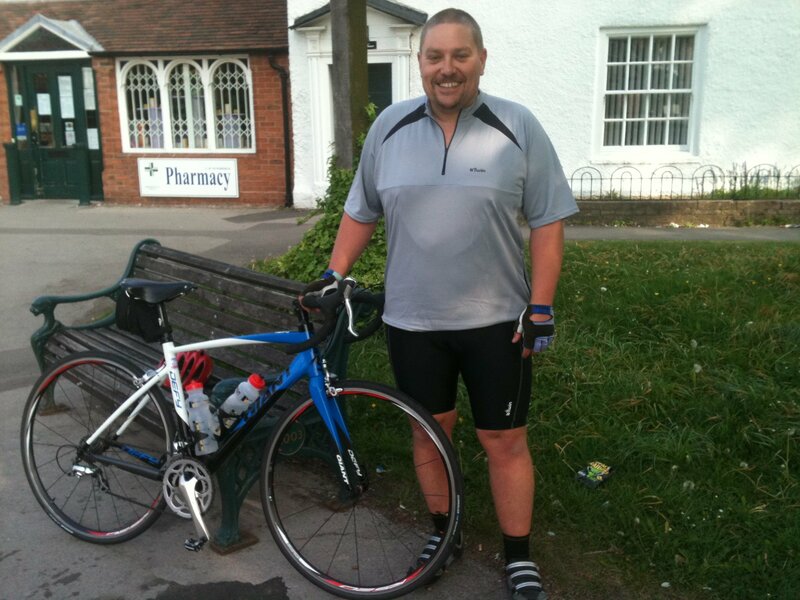 Thought I’d share it with you as there is a bikey/weight loss theme. Inspiring stuff though. Ok, so maybe I didn’t exactly tell the truth about how far I’d planned for the ride with my mate Tony (aka Ski) yesterday, I originally told him about 20 miles, then in my blog I’d kind of said 20 – 30 miles. Ski had got a Specialized Allez from the Specialized Concept Store at Fort Dunlop. Which is the site of the old tyre factory. As I’d alluded to a day or two ago, it is Ski’s 50th coming up so I got him some required bits for his new bike. Which included 2 bottle cages, a Lezyne pump a Topeak saddle pouch which I filled with a multi tool, tyre levers, spare tube and a puncture repair kit. I also chucked in 2 water bottles I obtained from the rugby club! After a bit of allen key work that was his bike all bombed up ready to go. 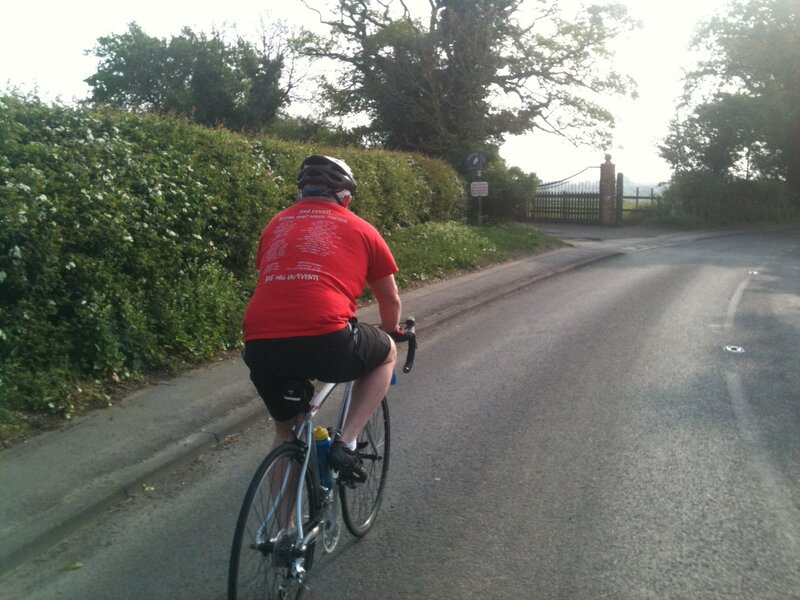 So off we went over towards Solihull via the lanes around Wythall. We’d only done 10 miles when we reached Shirley . We hadn’t even broken sweat yet so off we went a bit further and we went via Sharman’s Cross Road which is the site of our old Rugby Club ground before all of the financial upheavals of a year ago, so we went in and had a nostalgic look at the old place and had a comfort break. Then it was off towards Knowle which was the place I was always heading for as it had a nice route back through the lanes. We stopped for a photo op. Knowle was 17 miles in which was now the furthest Ski and his new Spesh had been in each other’s company. It was now a voyage of discovery for them both. At one point further up the road Ski got out of his saddle and blasted past me up a hill as he wanted to get out of the way of a truck that was behind us. That wasn’t a good call, he had expended quite a lot of his ammo during that explosion of pace up a hill. He said he was blown at the summit, we still had about 16 miles to go. Not good. I pedalled along side him chatting for a while about relaxing, changing your hand position on the bars to relieve shoulder tension, choosing an easier gear to just spin along and trying to recover. The irony of this was, that this was exactly the type of thing in running terms he used to say to me when we ran in our Army days. Ski was always a very good runner who competed in cross country and half marathons and I always just used to hang on. The rolls were a bit reversed now, but the advice and psychological tricks were just the same. Me pedalling alongside chatting took his mind off his troubles, although I kind of knew he knew exactly what I was doing and why. Once we had crossed the main Redditch Road it was the home straight and the final bit of the ride. Ski was back in the groove and we were bowling along quite nicely when we happened on these creatures. Ski commented that we’d gone that far we were now in Peru. Maybe not that far, but he still wanted a “catch me natural” with them. As we were approaching the last 3 miles, Ski told me his cleat had worked loose in his shoe, he was still clipped in but his cleat was moving around. Oh well, not a lot we could do about it so we just had to crack on. 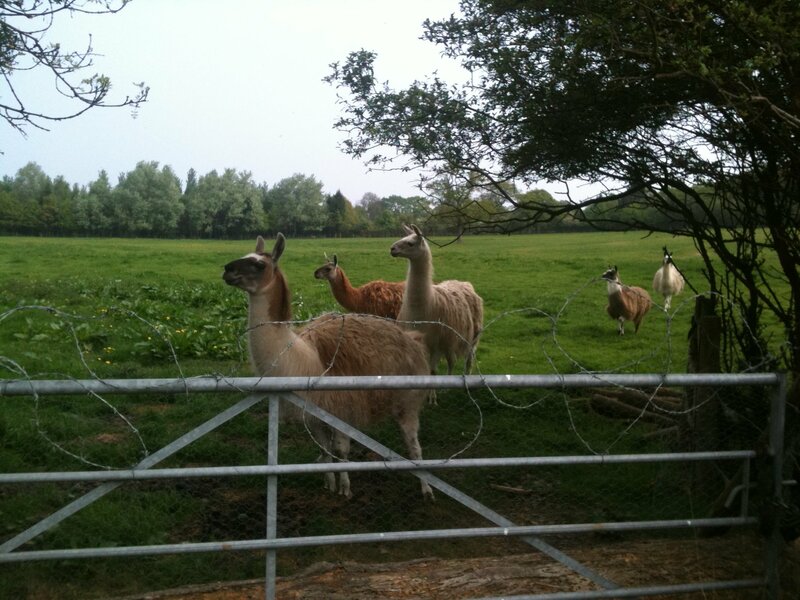 Then a couple of hundred yards down the road the inevitable happened. 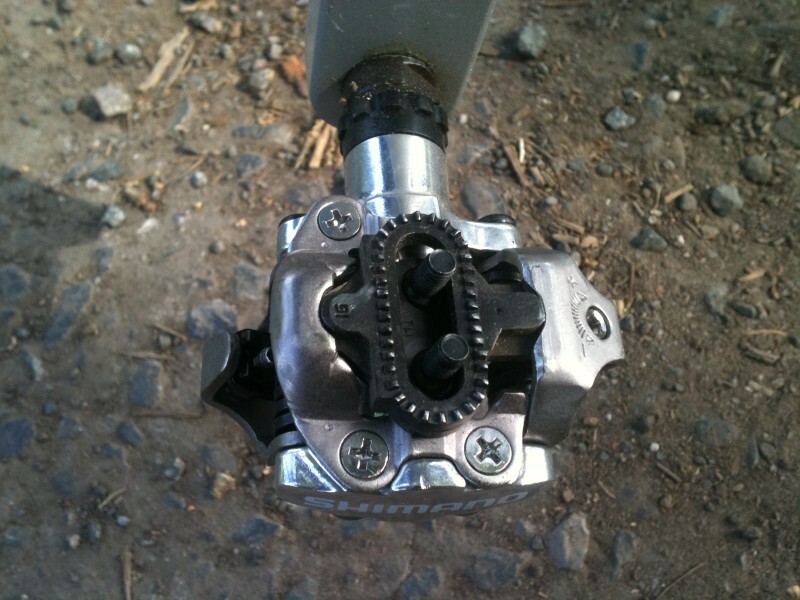 The screws completely worked loose and the cleat was left stuck in the pedal with Ski’s foot now waving in the wind. Again, without a pair of grips or pliers there was no way to get the cleat out without dismantling the pedal so Ski just had to man up crack on until we got home. Which he did admirably! When we pulled up at mine, I set about getting the cleat out with a set of grips which I successfully managed to do and reset his cleat onto his shoe. No harm done. 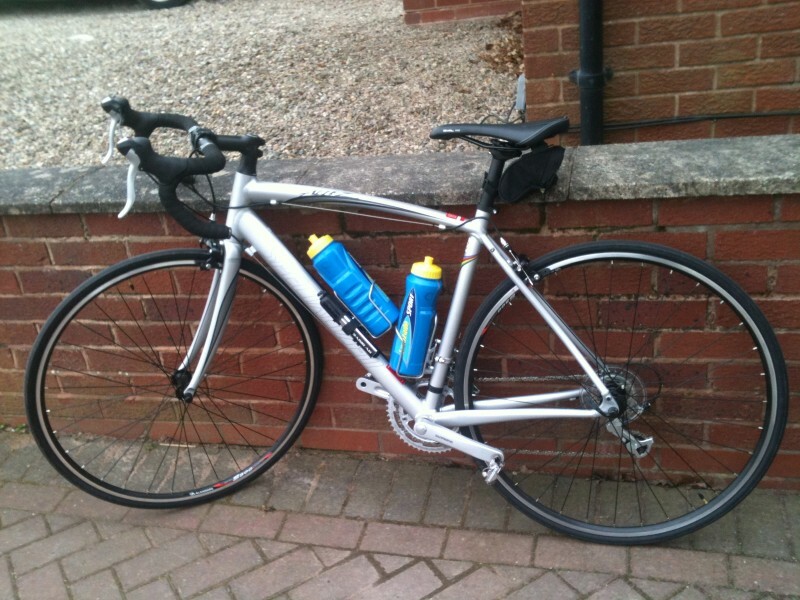 I then took the opportunity to have a pedal around my roads on his bike. What a lovely feeling machine. 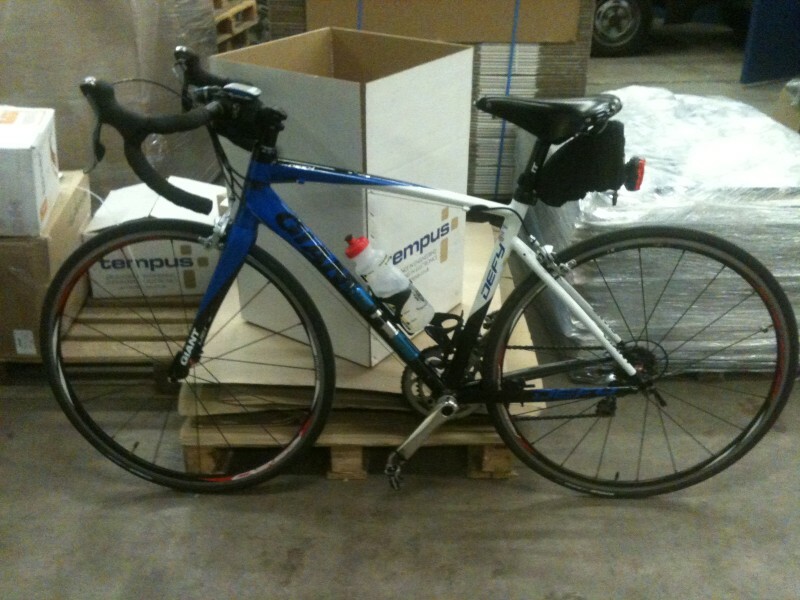 It is a bit more sporty than my Giant and seems very eager to get going. I gave it some guns up a hill out of the saddle and it just wanted to take off! There was no grey areas as to what was the weak link in our brief partnership of 5 minutes. Yep that’d be me then! Nice bike, he’ll have some fun on that! So a trip of over 36 miles which didn’t harm him at all. The only thing was that he needs to look at his fuelling as I think that was what caused the tiredness towards the end. A 50 is easily withing his reach already I think. I enjoyed the trip immensley, I really have fun when I have company on a trip. And yesterday with my old buddy of 25 years was just brilliant. Feeling up to another one mate? 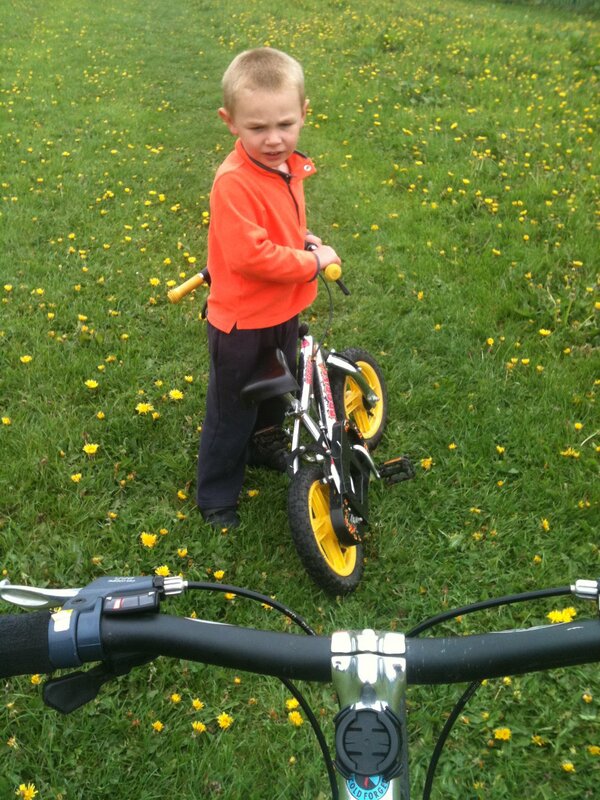 After the obligatory egg session, me and the lad bimbled out for bike ride. We went around the block and over the fields. A jolly time was had by all! After that was dinner with Mum in Law and a trip out to the Dodford, They’d got a beer festival on there with the added “attraction” of a Morris Dancing festival too. Morris dancing is an old English folk dance with Pagan roots. Although that is disputed in some circles. It may look odd to see grown men skipping around waving hankies in the air, but I’ve found that when ever I’ve seen it I cannot help but smile. And it is uniquely English! Most countries on the planet have their unique dance, the Scot’s have the Highland Fling, the Maori’s have the Haka, we have the Morris Dance. Indeed, I often think the English Rugby team should respond to the New Zealand Haka by Morris dancing back at them. That’d show ’em! 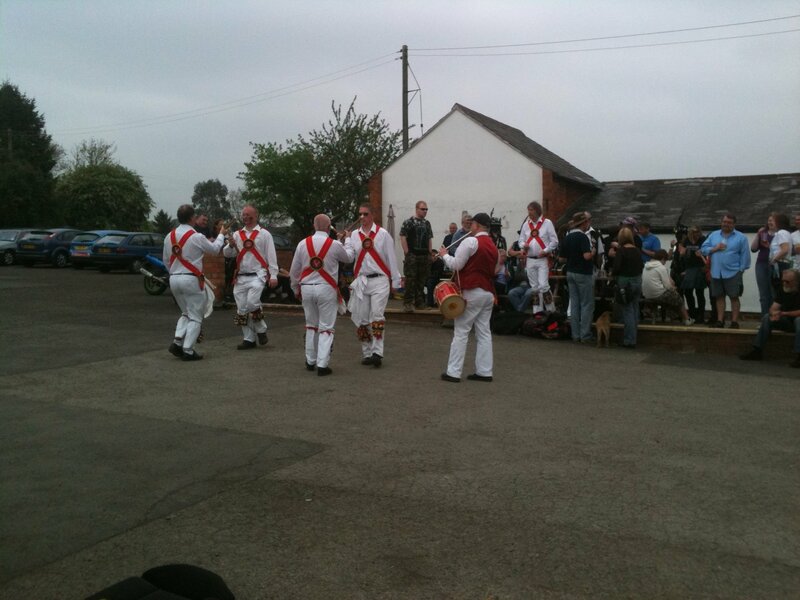 Morris dancing at the Dodford Yesterday. 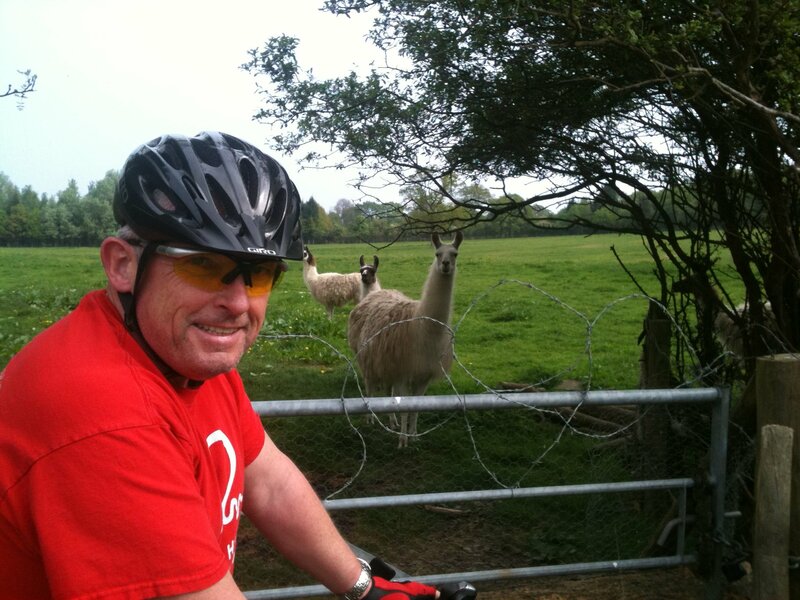 Off for a bike ride with my mate Ski today. Looking forward to it! Let’s start with the main point of this blog. That of pork reduction. A bit of good news. Check out the reading on the scales below. 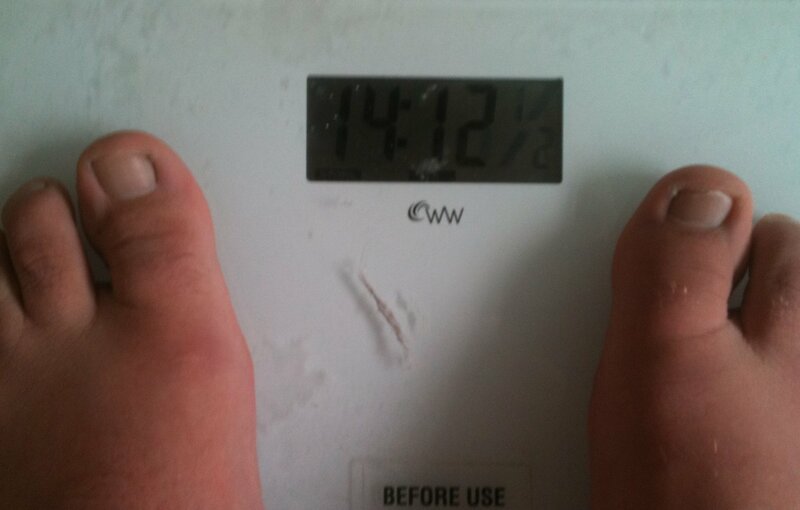 A 6Ib loss to see the number 14 on the scales is massive for me and a huge boost to the old morale. It means I’ve cracked the 100Ibs loss which is a pretty good thing to be able to say. It is getting harder to shift though. Don’t ever stop! I thought it would be nice to put a bit of bikey history in the blog. At the Dodford on Friday an old boy riding this bowled up. 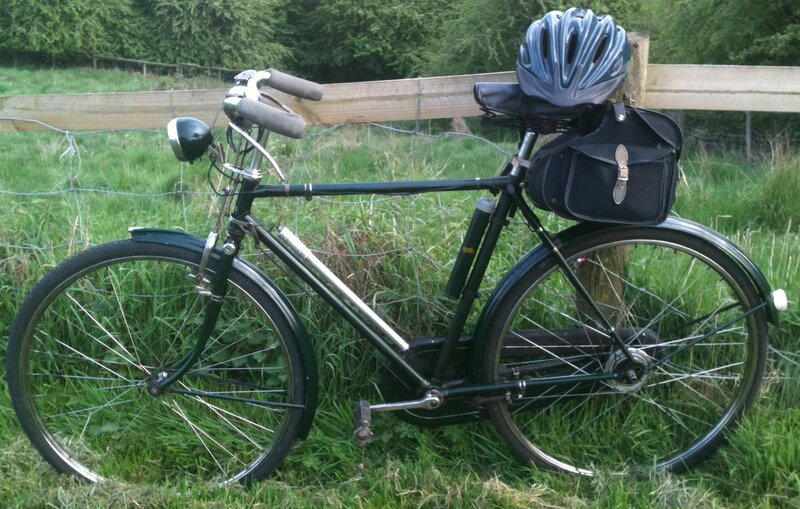 It’s a 75 year old Raleigh with a Sturmey Archer 3 speed dyno hub, lockable front fork and sporting rod brakes. As a child of the 60s and 70s I used to see a fair few of these in and around Birmingham, usually with older fellers on their way to work. As the old boy riding this said to me they were a bit tougher than us! It weighed an absolute ton and he told me he hasn’t had it out of first gear in years! 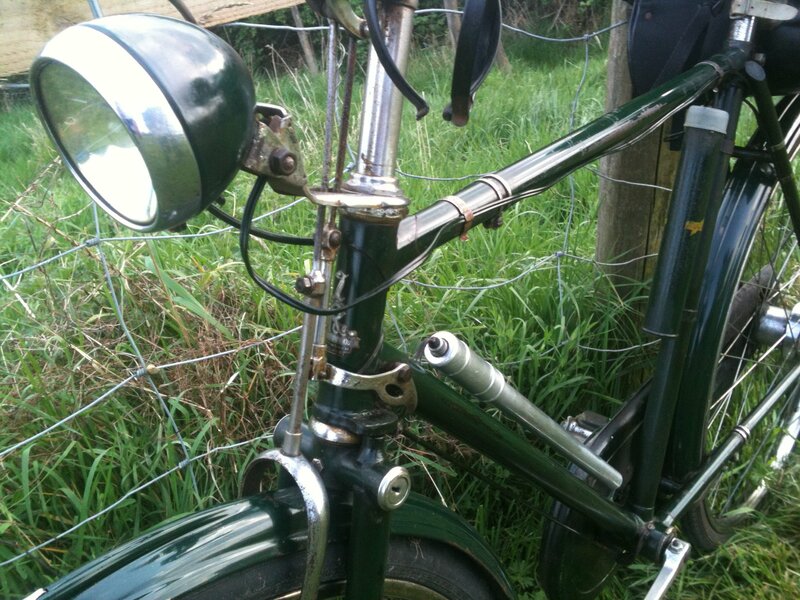 A close up of the famous Raleigh Heron badge, the front fork lock and the rod brakes. What a beast! Totally over engineered and bomb proof. It will probably outlast the old boy and me! After a quick blast around the block with Dan to keep on with the 30 days of biking challenge I finally knuckled down and got the MTB commuter clean. Here’s the result of a bit of drive train cleaning and fettling. 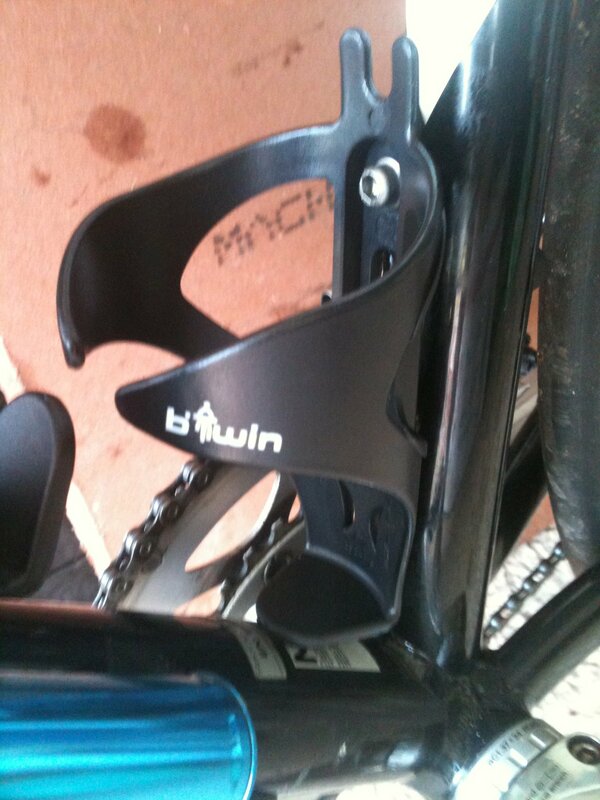 I also fitted these new bottle cages onto my Giant Road Bike that I brought from Decathlon. What a place! I could have spent all day in there browsing, but in the end I walked away with 2 cycling tops and some bib shorts to go with the bottle cages. They seem good quality and at a reasonable price too.